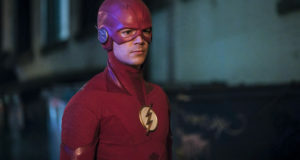 The CW announced today that The Flash is one of ten series that they have renewed for the 2019-2020 TV season, meaning Barry Allen’s run will continue even longer! You can read more details and find The CW press release about the renewal here. The CW’s other DC shows – DC’s Legends of Tomorrow, Supergirl, Arrow and Black Lightning – all also scored renewals. 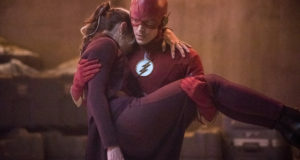 The Flash continues to be The CW’s highest-rated series, so the show’s renewal might not come as much of a surprise. 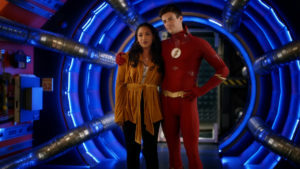 The series – starring Grant Gustin and Candice Patton as Barry Allen/The Flash and his wife, Iris West-Allen – airs Tuesdays on The CW.